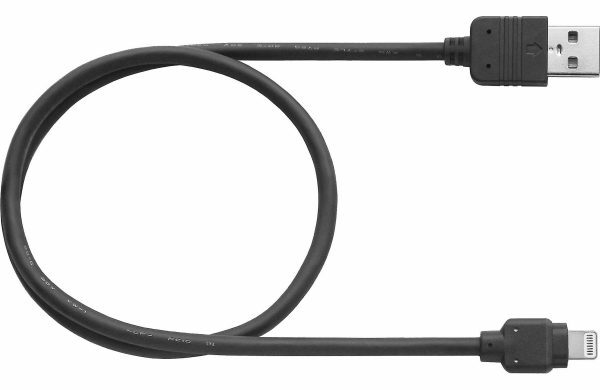 Use the Pioneer CD-IU52 interface cable to plug an iPod or iPhone with Lightning connector directly into the receiver’s USB port, and gain full, direct, adapter-free control via the receiver interface. Enjoy fast charging of your compatible Apple device while the direct digital connection assures you get the utmost sound quality from your recorded music. The CD-IU52 enables Apple CarPlay for all NEX Receivers, AppRadio One for compatible DVD Receivers and audio playback of iPod and iPhones with Lighting connector for CD Receivers. Apple CarPlay gives iPhone users an intuitive way to make calls, use Maps, listen to music and access messages with just a word or a touch. AppRadio One eliminates the need for iPhone users to use multiple cables in order to access their digital lifestyle from the Pioneer receiver’s touchscreen.